The Michael Jordan of Cricket uses BlackBerry Passport to report on World Cup | BlackBerry Blast! Some people refuse to believe the BlackBerry is still relevant, but it is. 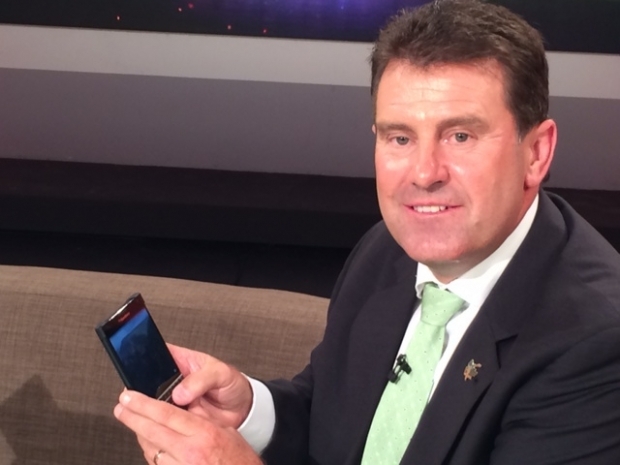 Australian Cricket Legend, Mark ‘Tubby’ Taylor, is using a BlackBerry Passport to report on the Cricket World Cup. The World Cup is a huge event and is the third most popular sporting event the world behind the FIFA World Cup and the Summer Olympics. There are many other people who believe in the BlackBerry Passport like Toronto Raptors (NBA) general manager Masai Ujiri, Canadian tennis star Milos Raonic, and celebrity chef Tyler Florence.